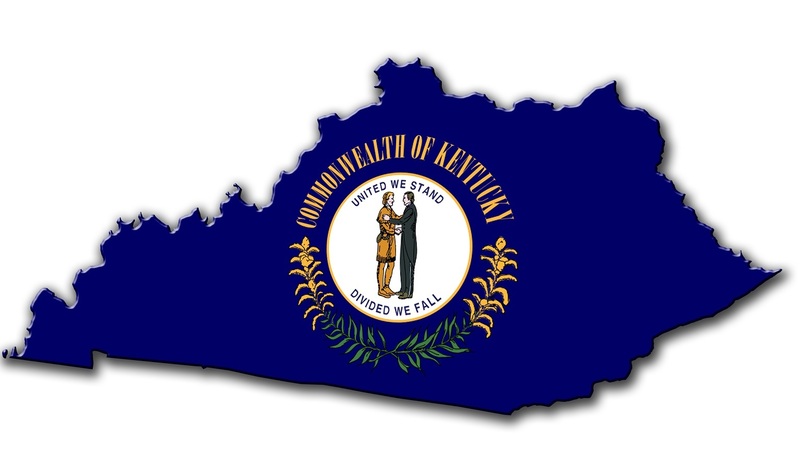 As part of the “End Corruption Now Campaign,” the FBI began an investigation into public corruption in Kentucky, just after a recent Harvard study identified Kentucky as “one of the most corrupt states in the country.” The FBI website noted that between 2003 and 2012, approximately 300 individuals were convicted of federal crimes related to public corruption. MedicalKidnap.com has exposed many stories revealing the corruption within Kentucky's Department for Community Based Services (DCBS) and the unwarranted removal of children from loving homes. Many Kentucky families have shared their stories, revealing the unlawful overreach of these government agents into their lives, and the unjust kidnapping of their children for financial gain. One concerned mother, who is no stranger to the corruption within Kentucky DCBS, contacted Medical Kidnap asking us to urge all Kentucky families to share their personal concerns about the corruption in DCBS with the FBI in this current investigation. someone please help.. two boys were taken from me in 1010 and were put up for adoption in 2015 and there was no attempts for me to be at the last court date.. they took my rights away in 2015. then now in 2017 i have two other children that cps is saying that my old case was wrote down as i did nothing even thought every time i finished something i allowed cps to make copies of it.. they still wrote it at not done.. now they r telling me i have to move out of my home and that because my rights were taken from me with out my knowledge to my older tweo boys im not allowed to see my two current kids without supervision for an hr each week and im not allowed to be in any place of a care giver position of a child from this day forward and they want me to take anger management.. how can i do anything when they forced me out of my home and away from my family and i now have to start all over again.. someone please help me!!!!! I am in need of a family and civil lawyer. My husband and I had never been thru anything like family court before and unfortunately didn't know our full rights until the damage was done. After much research and countless hours working on the case ourselves. There is a lot going on in our county.. we have met with multiple local lawyers that won't touch what we have w a ten foot pole! This is a major case violating our amendments and civil rights, neglect, perjury, judicial misconduct, falsifying of records and we have proof but no one will help us! Is there any attorneys in Louisville or Lexington that will help us! I have went to even call the governors office, DCBS commissioner with little to no luck . We need help this is our life our daughter!!!! Need to investigate Lawrence County, Ky CPS and their strong influence in Family Court They may take ECO with state police to their advantage of children programs. They may have a list of foster parents that are related or friends to draw state funding. CPS twists one's words around to their advantage and court. They look only at the parents' bad points instead of all the good. They keep children relatives away so that they may persuade children to their side of the story. CPS keeps relatives away and prefer giving temporary or permanent custody to these friends, foster parents so that they may get state funding as income. They seek out the poor families so that they can't get a lawyer and get a court appointed lawyer. They get a lawyer for the children that bases his opinions on only what CPS tells them. This whole process needs to be investigated, We just got lawyer Conn out, now let's take care of this corruption as children and families are being scarred for life for their justice. There needs to be a routine check of all CPS in Kentucky and quit making family court and files so secret that general public can not see them like public court. Follow your heart and not the system to seek answers to these unfortunate cases as it is rare that CPS loses a case in f\Family Court. I don't think that even a Perry Mason or Ben Matlock could win here!!! Hello - late to the party. Does anyone know of lawyers offering pro bono services in central Kentucky? My child has been kidnapped by DCBS! My name is Lori. I haven't always been perfect but I was fixing a predicament when my story occurred. My mother in law talked for a year about taking my grandson to Oregon. She's on pills and pot oil. When she left she abandoned her house with bed bugs and really trashed it. Called for well care checks. You know the common scheme. My grandson had a blow out (basically his bowel exploded). Instead of calling for help they let my mother in law take him in 1 day. They did not call me until 1 pm. Why?. I have an immaculate record with children but this case is not even close to as it appears. They hid him for over a year. All I know is CPS in Milton Ky helped Audrey Tally (77 year old on drugs) take my grandson. I left my abusive situation emaciated and had to get 5 blood transfusions. The most important part of this story is that Audrey was medical guardian . If she had had him on the right plan this may not have occurred. They did not take him or his truck legally. My view on Lori Osgood tells the story if anyone cares. I had an order for the kids clinic and we were moving that next week. They're still on drugs. I moved on alone. Hi @Lori-Shirk, I'm so sorry to hear about what your family has been through. As a Kentucky family, please consider sharing your story in the Medical Kidnap Community group "Ky Bluegrass Families United Against DCBS Corruption." You will first need to create a user account here: https://community.healthimpactnews.com/register and then verify it via email. After you create an account, go to the Medical Kidnap Community here - https://community.healthimpactnews.com/ - and click on the "Groups" tab to find the group "KY Bluegrass Families United Against DCBS Corruption"
All Requests to join the group must be Approved by an admin. Some one needs to come visit Grant Co esp their court systems I have witnessed some shady dealings going on in the courts I have called the FBI to try to get someone to look into them but nope I was told it was a local matter but the locals are part of the problem when someone reports anything it gets filed into section 13 aka trash file so what are the People too do when the very system they entrust them for protection turns around and stabs them in their back while smiling at the others saying nothing to see here folks ??? I keep trying to figure out how to join the group, but can't get it to work. Can you help please? Request to join the Group. This must be Approved by an Admin, so that we know that you are a family fighting CPS. Tell us a little about your story and introduce yourself. There are so many families that are being hurt by this evil agency. If any of the people that posted on this story are still around Medical Kidnap, please join our KY group. We need to unite to overcome this monster.